Any questions for Andrew Boff? 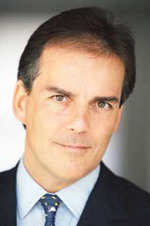 Andrew Boff is one of the four shortlisted candidates for the Conservative nomination for London Mayor. He was second-placed in yesterday's ConservativeHome survey of London Tories. 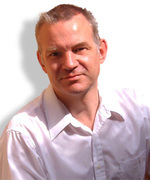 A Londoner all his life, Andrew runs an IT consultancy and is publisher of EASTeight magazine. He and his partner, who registered their civil partnership in December 2005, live in Hackney. Andrew is the secretary of the BMTRA, a social enterprise which, by managing London's most successful community-run market, Broadway Market, regenerates the area. Andrew led Hillingdon Conservatives to victory against the national trend in 1990 and was Chief Whip of the London Boroughs Association. In 1993 he co-founded the “Civic Skills” consultancy. He contested Hornsey and Wood Green in 1992 and stood for the European Parliament for Lewisham, Southwark and Greenwich. He was GLA candidate for Hackney, Islington and Waltham Forest in 2004. In 2005 he won a solid Labour seat on Hackney Council at a by-election and a year later more than trebled the party's vote over the previous full Borough elections. If you have any questions for Andrew please leave them in the thread below. Kulveer Ranger answers the questions that you asked here. Jennifer Wells: Please describe your new responsibilities and examples of where the Shadow Ministers twinning with cities has worked? The Chairman has asked me to work as an active figure for the Conservative Party with the portfolio for British cities. The role does require an understanding of British cities and the challenges they face. However, it is a broad ranging brief and I feel to be effective I shall focus on specific activities. Promoting and supporting initiatives run by the party, parliamentary candidates, councils and association as well as other non political organisations that align with our objectives will be a key job for me. Additionally, I will lean on my professional experience to focus on issues relating to transport and regeneration in urban and suburban areas. Umbrella Man: Have you encountered discriminatory attitudes in your search for a Conservative seat? Where does discrimination start and end? This question could be asked about any aspect of an individual’s life especially if they are come from a minority community background – and I would assume that many would feel that they have. I sincerely believe that our associations try to select the best candidate for their constituency. Our party is working to represent all and I think we must continue to focus on being a party that reflects modern Britain and selects the most capable candidates. Any questions for Grant Shapps? 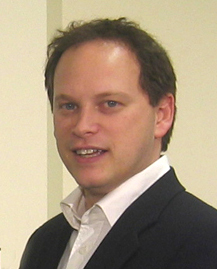 Grant Shapps is Shadow Housing Minister, attending the Shadow Cabinet, and MP for Welwyn Hatfield, a seat he first fought in 2001. In the 1997 General Election Grant challenged the Liberal Democrat Simon Hughes MP in his North Southwark & Bermondsey seat. Grant was a member of the Public Administration Select Committee between May 2005 and spring 2007. In December 2005, he was appointed as a Vice Chairman of the Conservative Party, with responsibility for campaigning (including parliamentary by-elections) and in July 2007 Grant was promoted to Shadow Housing Minister. 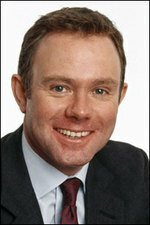 Grant was born in Hertfordshire in 1968. He was educated at Watford Grammar, before studying Business & Finance at Manchester in the late 1980s. In 1990, Grant founded his own printing company at the age of just 21. Originally started as a small printing shop, PrintHouse Corporation has grown into a major commercial design, print & web development company. Grant married Belinda in 1997. The couple live in Welwyn Hatfield and play an active role in the community. They have a young boy named Hadley and baby twins, born April 2004, called Tabytha and Noa. Grant holds a pilot's licence and enjoys general aviation as a pastime. If you have any questions for Grant please leave them in the thread below. Rt Hon Peter Lilley MP answers the questions that you posed here. Screenburn: What special responsibility does the UK have to its former colonies? Since one of the main problems in aid is everyone trying to doing everything everywhere, we recommend greater specialisation by donors – each giving their aid budget to fewer countries. For the UK that would naturally mean focussing on countries with which we had links notably former colonies – as we already do to a significant extent. KT Eden: How can we encourage individuals to give more to projects in developing countries? We recommend more widespread linkages between local communities in the UK and their counterparts in developing countries – see page 121 “Building Local Links”. This would go beyond the sort of twinning arrangements that currently exist within Europe and involve more comprehensive links between schools, hospitals, churches, business groups etc. We believe this would lead to a significant increase in both the quantity and effectiveness of voluntary giving. Stephen Parry: Your report rightly highlights the huge number work permits given to teaching and medical professionals from developing countries where they are in demand. How do we, as Conservatives, reverse this trend and avoid allegations of racism? It is hard to see how refraining from asset stripping poor countries’ health services could be described as ‘racist’. This government has an explicit policy, which it describes as “uniquely ethical” of the NHS “not recruiting nurses and doctors from Africa”. Yet they have undermined that policy by issuing over 60,000 work permits to nurses and doctors from Africa since 2000. It would be easy to stop denuding Africa of vitally needed health staff by simply not issuing work permits to agencies who recruit them. Peter Kingsman: Peter, at the moment British farmers have to produce food meeting health, hygiene and animal welfare standards that imported, cheaper, food does not. Should we require all imported food (and its ingredients) to meet the standards required of domestically produced food or should we lower the standards for domestically produced food? Firstly, all food products and imports are subject to the general food safety and hygiene requirements of the Food Safety Act 1990. In general, these are that food must not be rendered injurious to health, unfit for human consumption, or so contaminated that it is not reasonable to expect it to be used for human consumption in that state . There are additional regulations that we create for our domestic industries – and if we had to choose between increasing import regulation and reducing domestic regulation, the later would generally be preferable. Constance Harper: One of the biggest problems facing Africa is the lack of transport infrastructure. Given the corruption that is endemic in many African countries how could we support major infrastructure projects that are and are seen to be for the benefit of Africa and not the west? In general (page 85) “we strongly believe that corruption must not be used as an excuse for giving up on aid. But we are equally strongly convinced that it is an issue that must be tackled robustly and openly. ‘Sunlight is the best disinfectant’ and the most effective steps to curb, prevent and ultimately eradicate this scourge involve introducing greater transparency and openness. Donors should publish details of aid allocations; recipients should be required where possible to publish funds allocated to individual schools, clinics and so on; reliable, timely and independent auditing of programmes involving aid should be required and Public Expenditure Tracking Surveys used with the results publicised. Information is the best way to empower local people, parliaments, civil society and media (strengthened by other measures that we propose) to hold governments to account. We also discuss the use of “integrity pacts” for use in large procurement contracts (page 393). Mark Field, MP for the Cities of London and Westminster, answers your questions. Malcolm: Do you still think your public attack on our campaign in Ealing Southall the day after polling was a good idea? I must confess that my regret was failing to give due credit to all of those Conservative activists who worked tirelessly in Ealing Southall during the course of the campaign. The disappointment they must have felt at the result can only have been exacerbated by my intervention. For that and to them, I apologise. I gave some thought to setting out, in letter form, the essence of my ConservativeHome article and sending it privately to the Party Chairman. However, I became increasingly dismayed in the hours after the declaration of the result at the sense of denial from senior figures in CCHQ. In short, I felt it was important that a more accurate analysis of the by-election and its implications was given a full airing. 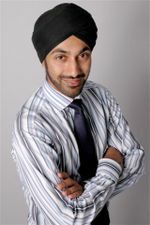 From my experience on the ground as the Shadow London Minister in the eighteen months leading up to the last general election, I saw just how hard Conservatives in Ealing Southall have been working to embrace the local Sikh, Hindu and Muslim communities. Frankly the Party needs to learn from the very serious mistakes we made (especially the manner in which we were manipulated by the defecting Labour councillors during the campaign). Since 19 July I have received a number of letters from activists, councillors and Association officers in Ealing Southall, all of whom have expressed gratitude for my publicly taking a stand on this matter. I have also been sent several messages from members of the British Asian community in Southall agreeing with my analysis. I only hope that the Party will learn from this bruising experience for the future. michael mcgough: As MP for the City of Londondo you detect a lack of enthusiasm or even hostility towards the EU by City firms, especially in respect of Mifid? The City of London is now arguably the leading global financial capital. Whilst the EU is an important part of the mix, many financial services and related industries now have a keen eye on the growth of India and China, as well as the United States, as key trading partners. One of the main reasons for the re-emergence of London as a truly international financial centre in recent decades has been the burden of regulation in New York. The emergence of the Eurobond and Eurodollar market came about as a result of the US withholding tax in the 1960s and 1970s. Similarly the effects of the Sarbanes Oxley Act in the aftermath of the Enron and Worldcom collapse have diminished the significance of Wall Street compared to London . The lesson is plain – we need to keep a constant eye on regulation and taxation and ensure that the regime in the City of London is not undercut by any of our global rivals.